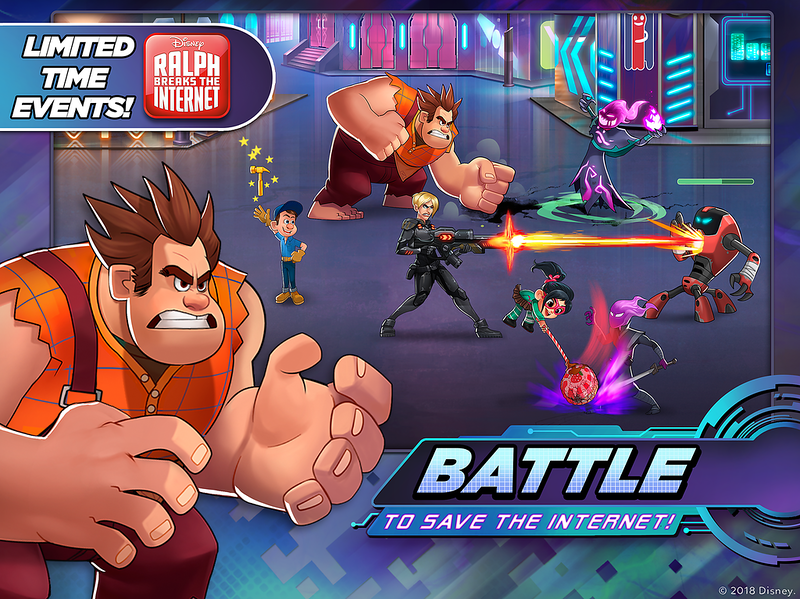 Ralph Breaks the Internet is now in theaters and Ralph & Vanellope are showin gup in several Disney Games – including Disney Heroes: Battle Mode, Disney Emoji Blitz and more. Pancake Milkshake: Available Now – This adorable game, full of exploding bunnies and kitties, is available exclusively for iMessage. 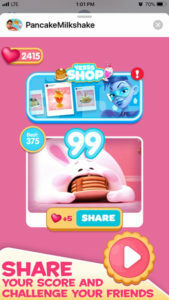 Players will encounter hilarious in-game rewards like surprise Break the Internet clickbait to increase difficulty, moments inspired by the film, and of course, irresistibly cute bunnies and kitties. Pancake Milkshake is available to download on the App Store. Disney Junior Appisodes: Available Now – Ralph Breaks the Internet Read-Along eBooks are now exclusively available through Disney Junior Appisodes on iOS. Disney Emoji Blitz: November 21 – November 25 – New, exclusive emojis, Wreck-It Ralph and Yesss are hacking into the game for the Ralph Breaks the Internet Team Event. In this event, fans play as two emojis at once, completing team missions and unlocking chests on the prize map. Starting on November 23, emojis can be pulled from the team box to speed up progress. Players who complete the event will win a Diamond Box, featuring Wreck-It Ralph, Yesss or Vanellope. Disney Emoji Blitz is available for free on the App Store, Google Playand Amazon App Store. Disney Magic Kingdoms: November 21 – December 23 – Players will join Wreck-It Ralph, Vanellope von Schweetz, Fix-It Felix Jr. and more for a mega event where Ralph and his friends will work to stop the virus that is invading the Kingdom. This event will feature the chance to snag new comfy costumes for resident Disney Princesses, decorations, a new float and new attractions, including The Internet, Princesses Room, the Oh My Disney Booth and more. 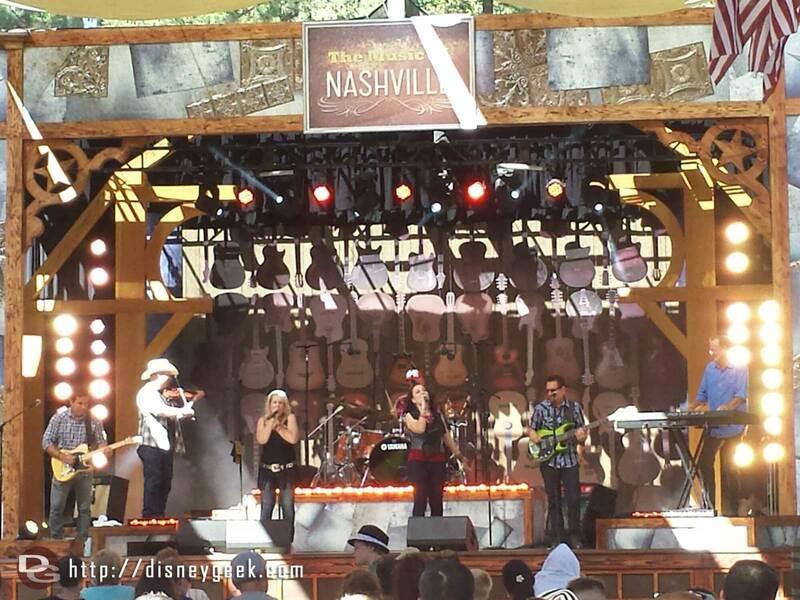 Disney Magic Kingdoms is available now on the App Store, Google Play, and the Windows Store. 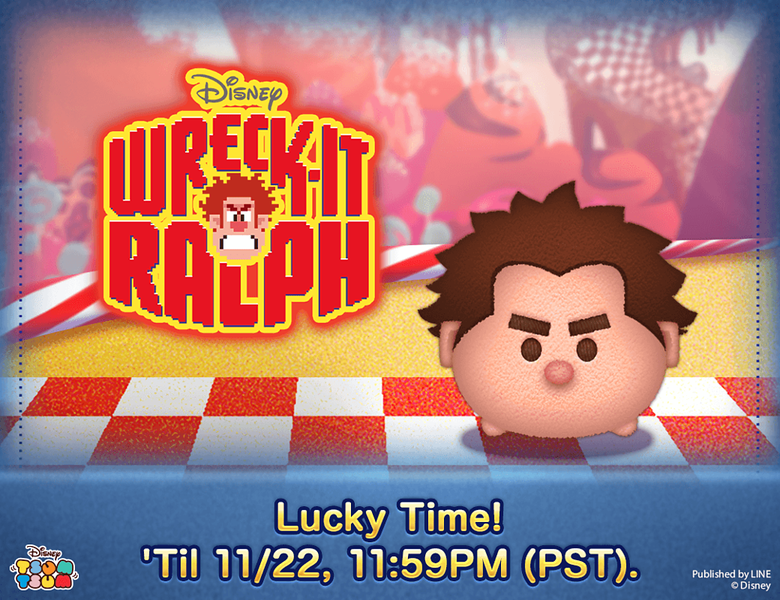 Disney Tsum Tsum: November 21 – For the first time in the U.S., Wreck-It Ralph will be available in Disney Tsum Tsum through the exclusive Tsum Tsum time capsule. Disney Tsum Tsum is available for download on the App Store and Google Play. 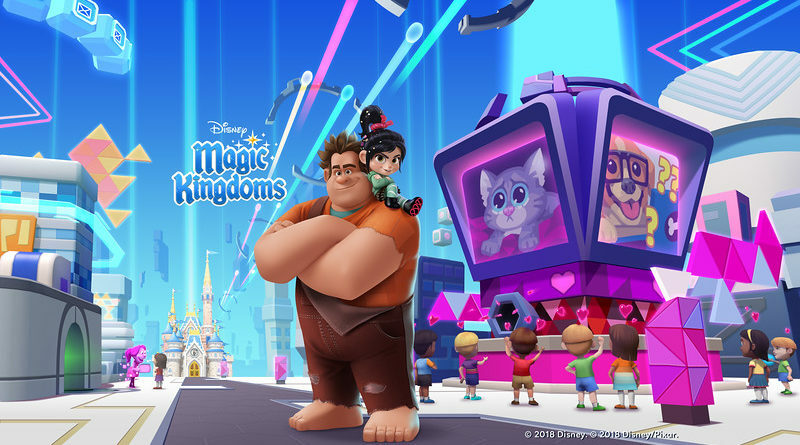 Disney Heroes: Battle Mode:November 23 – November 26 – Ralph Breaks the Internet themed events smash their way into the digital City. 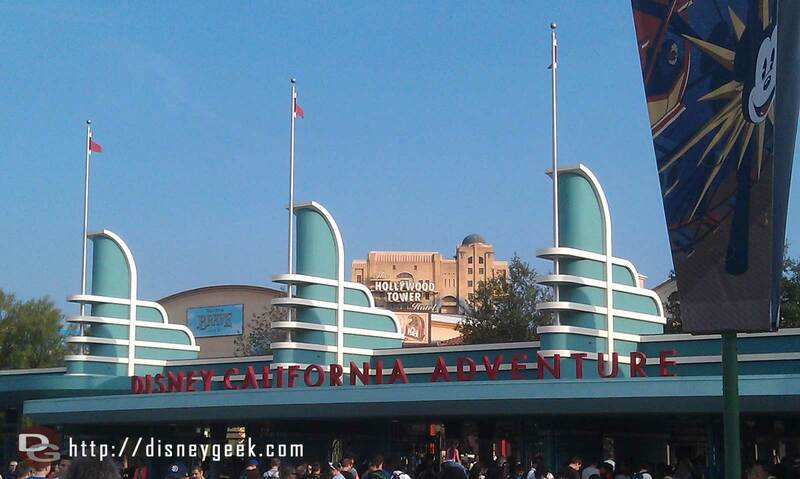 Players will team up with Wreck-It Ralph, Vanellope, Fix-It Felix Jr., and Sgt. Calhoun to wreck as many game modes as possible. Event rewards include custom emojis, avatars, and more. As an added bonus, Shank drives players into the challenging new Guild War feature too. Disney Heroes: Battle Mode is available on the App Store, Google Play and the Amazon App Store.